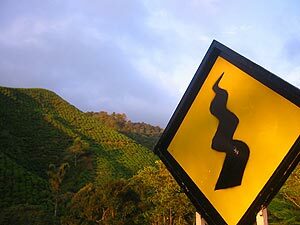 The curvy road there is already worth the trip especially at the late afternoon hours when the sun paints the hills in spectacular green. You can also get there coming from Trail 9A. 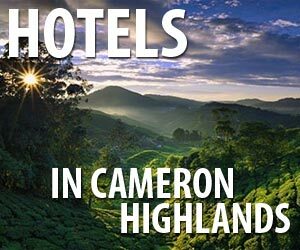 There are 13 Trails in and around Tanah Rata and Brinchang, varying from a few hours to full-day, to explore the Cameron Highlands rainforest yourself. Track 9A starts out at the western end of Tanah Rata und passes the Robinson Falls.